Australians are more bewildered than ever before when it comes to choosing foods that are best for people and the planet, with 63% admitting they are keen to do the right thing but are confused by the number of diets, fads and 'green' claims available. The volume of information is leaving Aussies questioning "should I give up meat? ", "is fish classed as meat? ", "what makes it sustainable?" and "is it good for me if I don't know where it comes from?" New research out for Sustainable Seafood Week reveals that despite the confusion, 80% of Australians consider themselves as conscious consumers who genuinely care about where and how their food is sourced. What's more, 81% have actively changed their lifestyle, daily habits and diets to help protect the environment – with almost a quarter (23%) having tried flexitarian and pescatarian meal plans. As a nation, a massive 87% admitted they would choose sustainable seafood over non-sustainable products knowing it would have a positive impact on the environment. 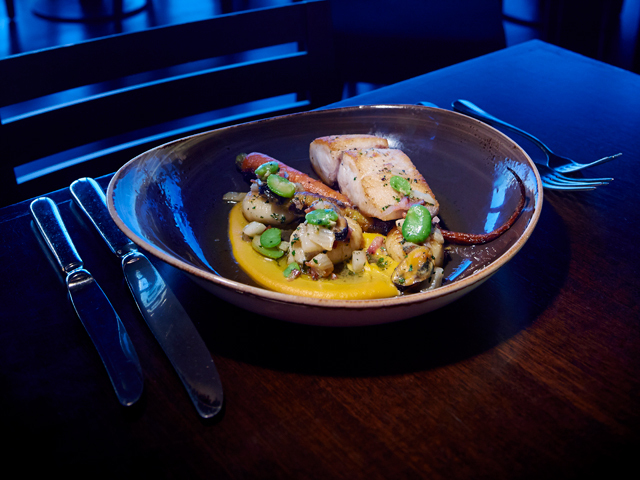 Maintaining our oceans, rivers and lakes is critical if we are to provide food for a global population expected to reach 9.7 billion by 20502, which is why the Marine Stewardship Council (MSC) and Aquaculture Stewardship Council (ASC) are calling for seafood lovers to join a nationwide movement to #SeaTheFuture during Sustainable Seafood Week 2019. The two leading international non-profit organisations have joined forces with a shoal of leading advocates and brands, including Coles, Woolworths, John West, SEA LIFE, Aldi and Taronga Zoo to bridge the gap of consumer confusion so that our children and grandchildren can continue to enjoy seafood for generations to come. Anne Gabriel, MSC Oceania Program Director said that they want to simplify decision making for consumers so they can #SeaTheFuture and make a small change today, with a lasting impact for tomorrow. Gabriel said: "Sustainable Seafood Week gives us an opportunity to speak directly to Australian shoppers. With consumers becoming more conscious than ever before, we want to show just how much of an impact they can make by looking for the blue MSC and green ASC labels – as a quick and simple way to identify sustainable seafood. "The campaign encourages leading brands to come on board to bridge the gap between consumers intention, the available product range and their action." Duncan Leadbitter, ASC Commercial Outreach Manager comments: "This week is about telling the meaningful and compelling stories about the producers. This is not just a passing trend; the producers have embraced sustainability in their livelihoods and it's important that seafood lovers do the same if we are to preserve our seafood for generations to come." Conservationist and campaign ambassador Laura Wells said: "As an island nation, we have a deep-rooted connection to our oceans, waters, rivers, and lakes which makes this issue very close to our hearts. We want Australians all over the country to enjoy healthy, nutritious seafood while helping to protect our marine life. People can show their support for this message by sharing their own #SeaTheFuture snap and acting together to impact positive change." With 90% of Aussies shopping for their seafood in supermarkets vs 35% at fishmongers it is important to get the backing from national supermarkets3 – to help the majority of Australians make the right choices. Campaign partner, James Whittaker, Coles Head of Responsible Sourcing and Quality said: "We believe our role goes beyond that of a traditional retailer, which is why sustainability is top of our agenda. The majority of our own brand seafood across our fresh, tinned and frozen ranges is now fully certified and stamped with the blue MSC or green ASC label, so our customers can have peace of mind that they are making the best choice for our future." The MSC and ASC labels assure that your seafood has been caught or farmed with the best possible care meaning consumers can beat the confusion and rest assured when they shop for the blue and green labels. With 400+ certified MSC products and 100+ ASC products available nationwide, there is a product every taste and budget. Question: What do you hope to achieve during Sustainable Seafood Week? Anne Gabriel: Time is running out to turn the tide towards sustainable seafood and to preserve our precious resources. Sustainable Seafood Week (11 - 17 March) gives us an opportunity to speak directly to Australian shoppers. With consumers becoming more conscious than ever before, we want to show just how much of an impact they can make by looking for the blue MSC and green ASC labels – as a quick and simple way to identify sustainable seafood. We've seen news out today that 57.5% of NSW voters will be swayed by climate change and environmental protection when deciding who to vote for on March 23 - yet despite increasing concern over sustainability, only 9% of Aussies admit to actually purchasing from sustainable suppliers when they are at the checkout. The campaign encourages leading brands to come on board to bridge the gap between consumers intention, the available product range and their action. Question: How are food trends to blame for confusing Australians, more than ever before? Anne Gabriel: There is a wealth of information out there when it comes to diets – from flexitarian and pescatarian to paleo and meat-free - so it's no wonder people are more confused than ever. In addition to the health implications, there's been seen a surge in trends which look at the impact of our diets on the environment – such as meat free Monday. What's interesting is that people are taking note and looking at ways they can impact change at a personal level. Our research found that a massive 80% of Australians consider themselves as conscious consumers who genuinely care about where and how their food is sourced and 81% have actively changed their lifestyle, daily habits and diets to help protect the environment. Question: Is there a particular diet that is best for people and the planet? Anne Gabriel: The best way to help preserve our marine life is to buy sustainable products. Wild-caught and responsibly farmed sustainable seafood has the lowest carbon footprint of all animal proteins (only beaten by eggs) and is less than half that of cheese production. The blue and green eco labels are a sign for consumers that their seafood can be traced back to a certified sustainable fishery or farm. What's more, when consumers choose and demand sustainable seafood products, they create incentives for more fisheries to become sustainable, ensuring the oceans stay healthy and jobs are secured. Question: What is the #SeaTheFuture movement? 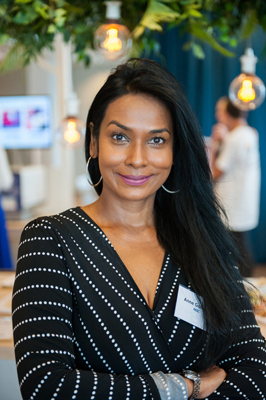 Anne Gabriel: The #SeaTheFuture campaign is part of the wider sustainable seafood movement and encourages consumers to choose certified seafood that is sustainably and responsibly sourced to ensure there is plenty of fish now and in the future. To celebrate Sustainable Seafood Week 2019, we want to encourage Australians all over the country to enjoy healthy, nutritious seafood while helping to protect our marine life. Question: How can Australians support this movement? 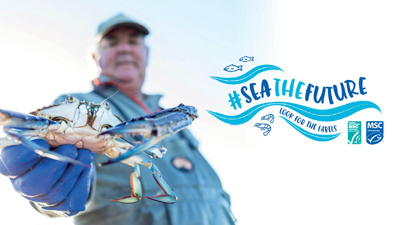 Anne Gabriel: Seafood lovers can join the movement by sharing a picture showing them looking out across the water, oceans, rivers and lakes using #SeaTheFuture and tagging @loveoceanlovefood. What's more, people can make a real difference by shopping for trusted products that carry the blue and green labels across fresh, chilled, frozen and canned at your local supermarket. Question: How can we be sure we're buying sustainable seafood? Anne Gabriel: Our aim is to raise awareness and educate consumers on what their choices mean for the future of our oceans. We're continuing to work with leading Australian retailers such as Coles, Woolworths Aldi - and many more - to make the choice even easier for consumers. There are 400+ blue MSC-labelled products and 100+ ASC products across fresh, chilled, frozen and canned – so there's something to suit everyone's tastes! Question: How have Australians actively changed their lifestyle, daily habits and diets to help protect the environment? Anne Gabriel: When we asked consumers about their daily habits, we learnt that almost a quarter (23%) having tried flexitarian and pescatarian meal plans and a massive 87% admitted they would choose sustainable seafood over non-sustainable products knowing it would have a positive impact on the environment. As well as diets, people are looking for recyclable products, finding alternatives to single use plastics, using keep cups and off-setting their carbon footprint. Question: What questions should Australians be asking their local fishmongers? Anne Gabriel: People can ask their local fishmongers about where their fish comes from if it has been sustainably sourced. They can also buy ASC and MSC certified fish at the seafood counters in leading supermarkets Woolworths and Coles.